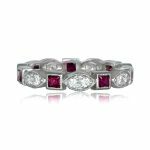 A beautiful vintage style wedding band, adorned with French cut rubies and round diamonds. 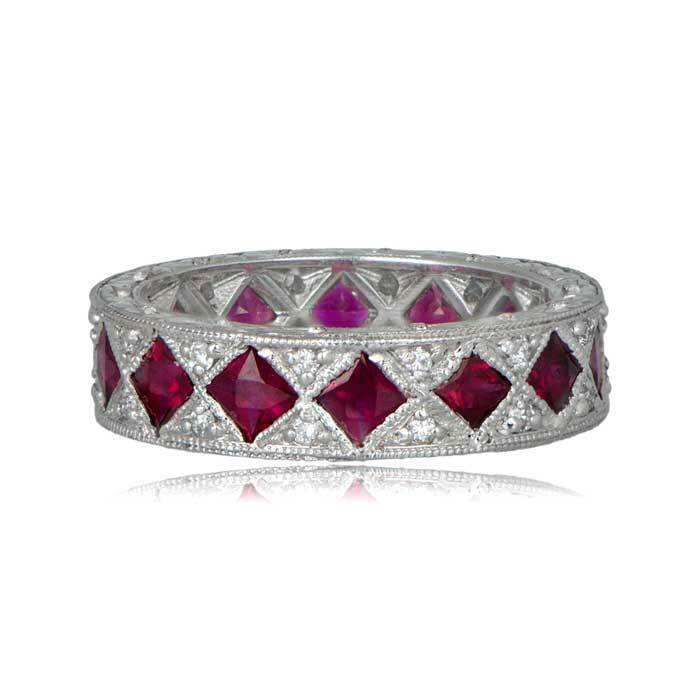 The rubies are bordered by milgrain and platinum. 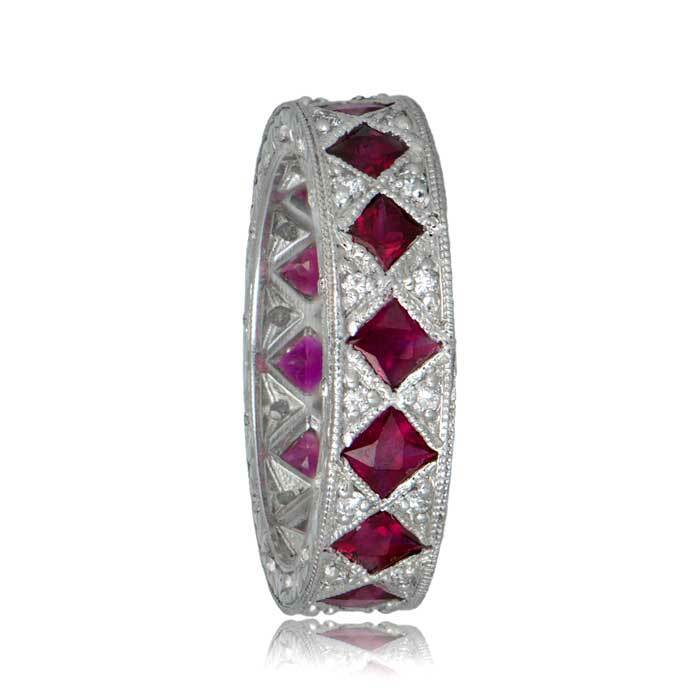 A diamond sits between the rubies at the top and bottom other the band. Fine and detailed engravings adorn the sides. There are 0.24ct of diamonds and 2.40ct of rubies. 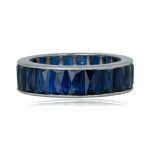 The ring is a size 5.5, but we can custom order this band in your size. SKU: H104 Category: Vintage Wedding Bands - Contact us and request additional pictures.